There are many times when making a difference just between Western Europe and Central and Eastern Europe is satisfactory. But most of the times such a comparison is not good enough. We, at Pierre Audoin Consultants (PAC), like to actively go more in depth with our analyses and discover the similarities and differences between markets within a region, even for a small region such as CEE. Backed by our 10+ year experience in each market in the region, we will present our vision of the past, present and future development of the IT Services market in CEE, what were and are the key drivers of development, what were and are the key inhibitors for development. How long and why will the Public sector continue to be the number one spender in the region? How will the competition between local suppliers and international suppliers evolve? These, together with other facts, will be part of PAC’s keynote presentation. Madalin joined PAC in 2009 with an experience of over three years in the IT Services industry at global scale, having worked in India, United Kingdom and France. 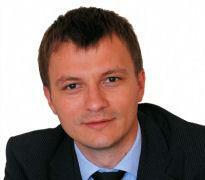 His role includes coordination and delivery of bespoke consultancy projects and market research in CEE. He is also responsible for business development and account management.